Send us your request by email for special pricing for the service. 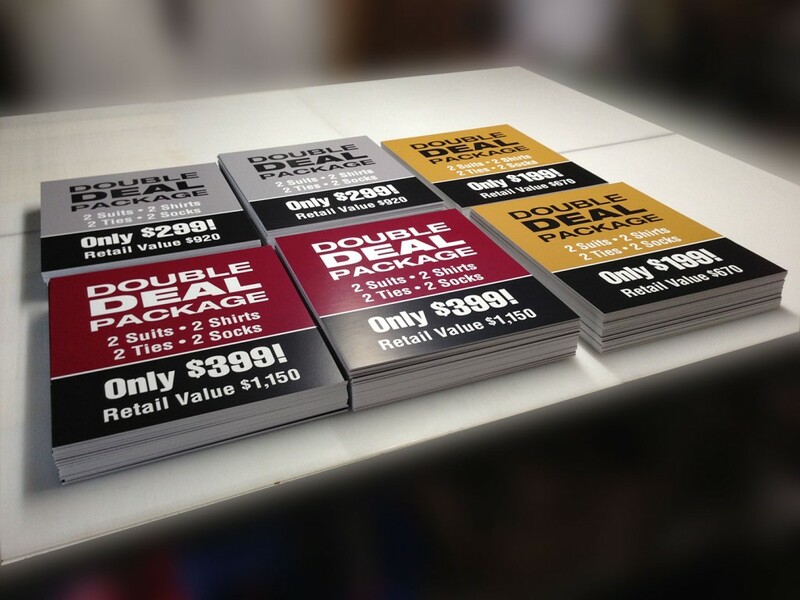 Laminates posters up to 60″ wide. We offer a 3,5,10 mil gloss, satin or matte finish. All are UV coated for longer durability in sunlight. 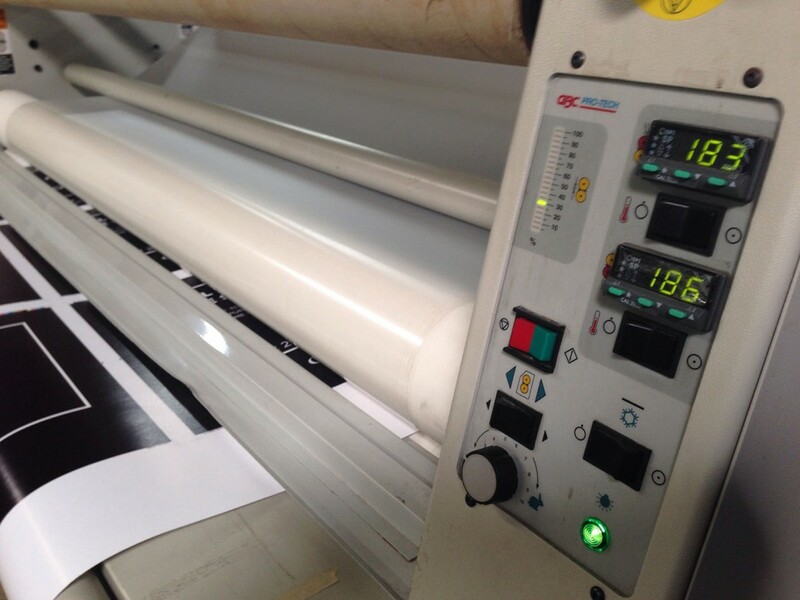 Our professional lamination service can enhance and adds durability to your prints. It brings the best out of your work, and at the same time protects your print with a special coat of film from water damage, sunlight and wrinkles. We have various laminating materials to suit your laminating needs. Just ask us what’s best for your work or project. Mounted size up to 60″ x 96″. Mounted on Foam board, Gator board. Sintra, Illustration board, or Styrene. Plexiglas, Magnetic sheet & Corrugated Plastic. Increasing the life of your posters even more with mounting. Perfect for wall mounting, easel backing, point of sales and banners. Foamcore is perfect for low cost and smaller posters. 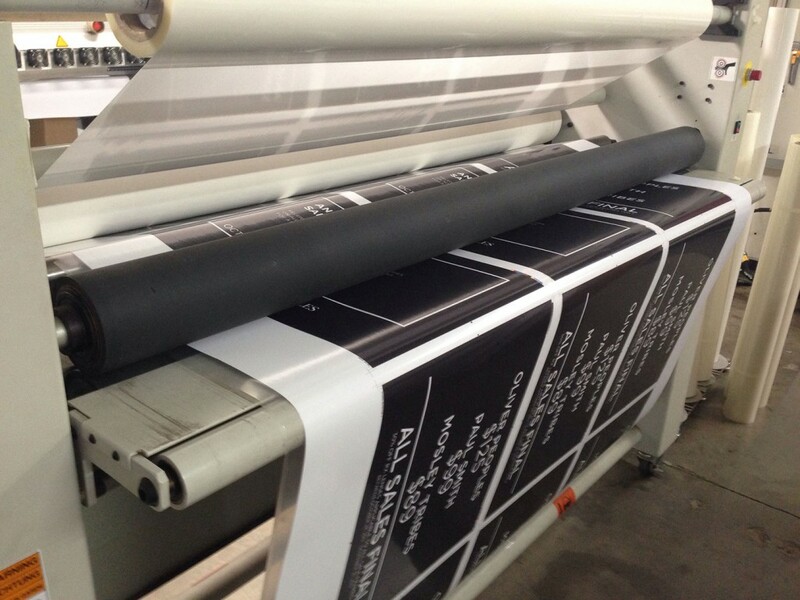 For larger poster we recommend the durability of Gator board. The same thickness of foamcore, but more denser, meaning less bending and curling in the mounted poster. We also stock Sintra and Illustration Board. Our in-house finishing accessories can add all kinds of finishing touches to your prints. We can add Velcro, grommets or sew according to your finishing requirements. Whether you need a few grommet holes to hang your prints or Velcro to attach your prints, we can handle all your needs. Our service aims to deliver sharp and quality finishing for all your work.